"Galway-born Rita Ann Higgins has come from outside the establishment to make her statements for all those who are waiting to hear. "Exposing the lies, the posturing and petty cruelties of the powerful, these poems tear away the shameful veils of hypocrisy to bite deep into the very bones of contemporary Irish society. Nothing, or no one, is sacred for Rita Ann Higgins. Utterly without artifice or pretension, her voice is at once strong, angry and acid sharp. These are poems of survival and resistance, for a time in which both are difficult." "There are not many books of poetry of which I can say that I can remember the day, the month, the year when I read them. Rita Ann Higgins's Goddess on the Mervue Bus was such a book. It was a cold dark winter's day when I read it and it lit a fire in my heart. To me Rita Ann Higgins means a unique line in human warmth; and a unique colour of humour and a unique clarity." Throughout her career, Rita Ann Higgins's strong, clear poetic voice has challenged and revitalised literary norms. With her first publication, Goddess on the Mervue Bus (Salmon, 1986), she was instantly recognised as a powerful force for change. 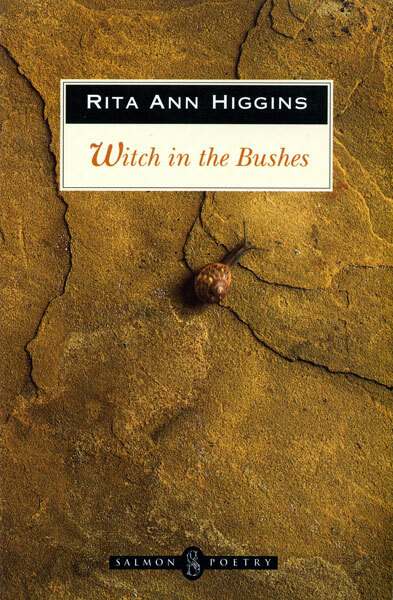 Witch in the Bushes (Salmon, 1988), followed in 1992 by the first edition of Philomena's Revenge, established her solidly in the public mind. Higher Purchase was Rita's fourth collection to be published by Salmon Poetry. During her successful publishing career Rita Ann Higgins has not been swayed from her position of observer, she has not embraced the comfortable appellation 'best-selling-writer' or worse 'establishment poet'. What makes her work so fresh and exciting is its immediacy - she lives in these words, in the pictures she paints in the world in which deep sadness and wry humour co-mingle with the capacity for hope. Rita Ann Higgins first began writing in 1982 and has since published three volumes of poetry. She has read her work at Oxford University, Queens University Belfast, Trinity College Dublin, UCC and UCG as well as major arts festivals throughout Ireland. Reading tours outside this country have brought her to London, Germany, Austria, Hungary and New York. She has also read her work on numerous radio programmes including the Gerry Ryan Show, The Sunday Show and the Pat Kenny Show. Her poetry has been anthologised and dramatised. Ms. Higgins was born in Galway in 1955, and still resides in her native city.